Before finding myself living a vegan lifestyle I dove into the realm of the chakra diet. This diet was brought to my attention through my yoga and meditation practice and I found videos and post online telling me how this diet would balance out my chakras, which was exactly the thing I was looking for. At this time in my life I was at my lowest and looked for any means of relief and help, I was on a mission to heal my body, mind and soul. Now did eating colourful food free me from my depression and did it release me from all the issues I was dealing with? No, it did not do these things, but it was a co factor in creating a more stable and healthy lifestyle, which directly contributes to my physical and mental well-being. I still do believe that “balancing out the chakra’s” so to say is something very helpful as I believe that we are all being of energy so keeping this energy in balance is quite important! Does eating colourful food do this? Yes I believe so. Each colour found in food has its unique properties, for example orange coloured foods contain alpha and beta carotene which your converts to vitamin A and promotes healthy bones, eyes and immune system. I’m not a nutritionist but each and every colour found in food has its own nutritious properties, that’s one thing for sure! 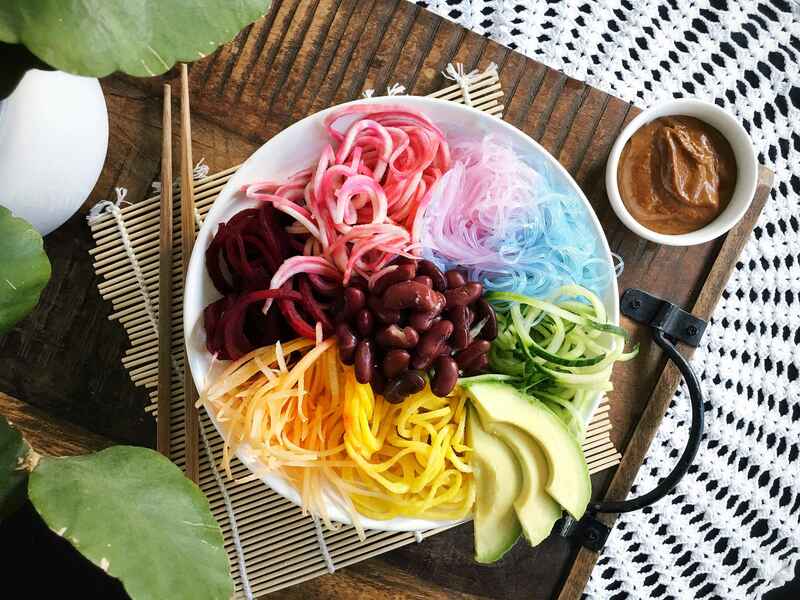 Not only are colourful foods healthy for your body and soul but it also does something to the mind. I mean come on who doesn’t like to see a colourful plate of food. 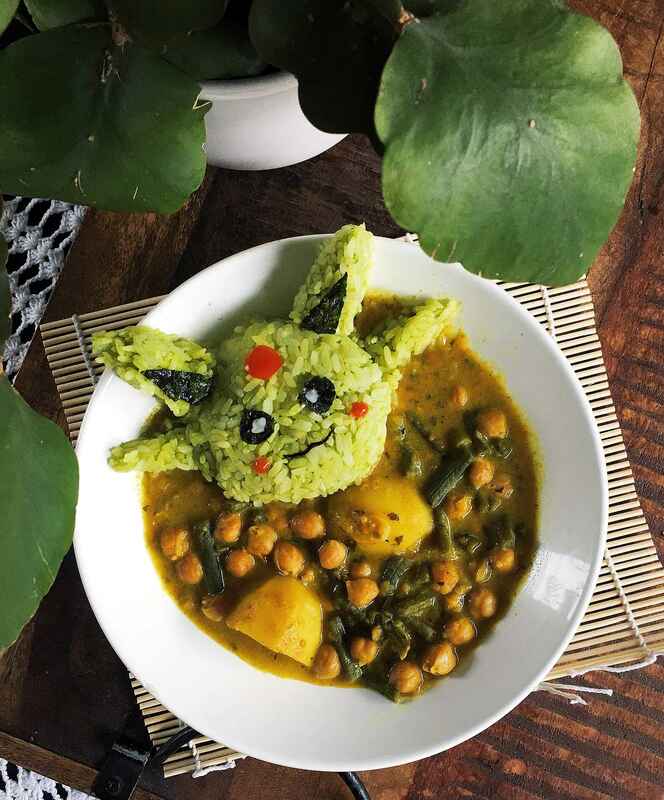 We first eat with our eyes, so why not present our foods in the most beautiful way possible. Of course I don’t always go all out and have some simple and less colourful foods, but whenever given the chance I will fill my plate with as many colours as possible. 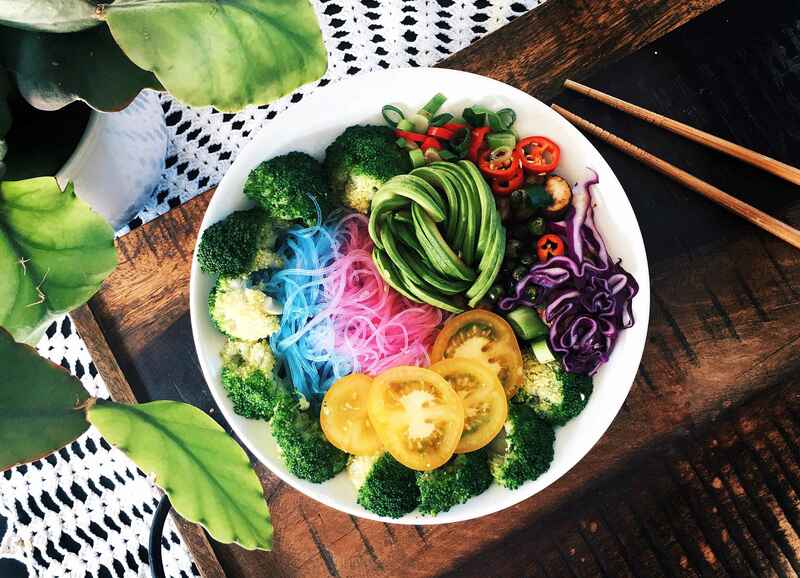 Even if foods are plain colours I love to use plants and whole food powders to add some colour to the mix to create a colourful and vibrant dish. 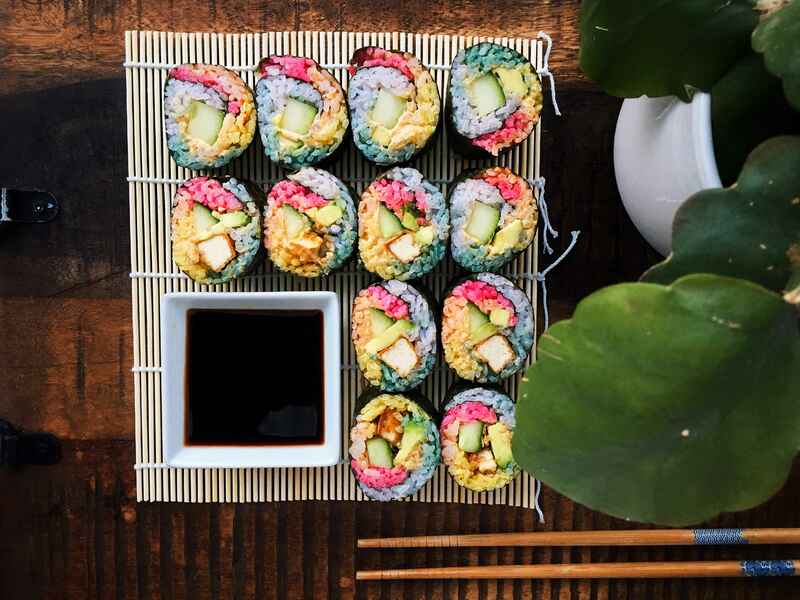 I’ll leave some links to some colourful recipes like this recipe for a colourful beet salad (you’ll love this if you hate beets) or this recipe for rainbow sushi. Sometimes it might be as simple as colouring the rice, and yes sometimes I get a bit carried away and create things like this rice ball to go with the most delicious curry (recipe on its way). 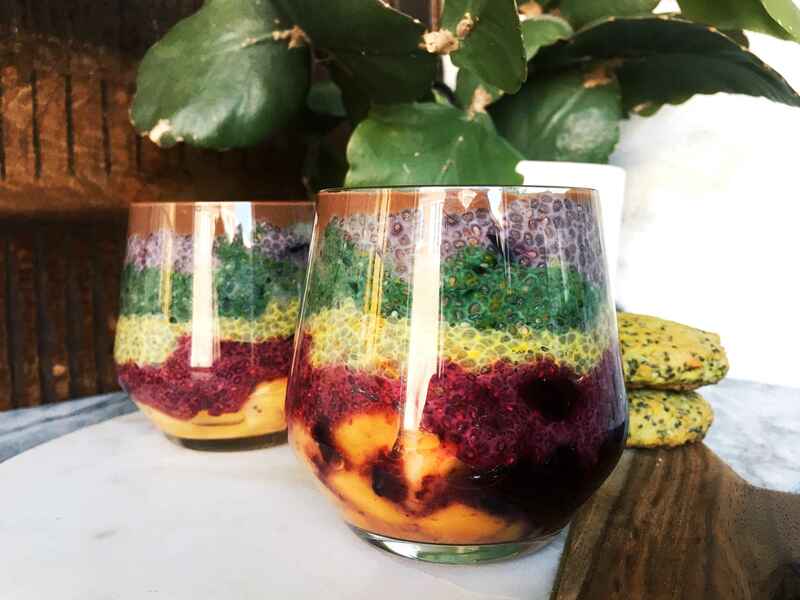 I will make an in-depth post on natural food colouring so keep your eyes peeled for that, and I hoped that this post gave you a little inspo to make your own colourful dishes, lets balance those chakra’s and feed our bodies with food that will make us shine from the inside out.